This thread is a reflection of C&C's Spelling and Grammar Standards article located here. Because this article is not easily accessible on-site, people make many errors that could've been easily prevented. The purpose of this thread is so users can both discuss the standards and refer to them easily within our forums. Pokemon should be spelled without the accent. The nature Naive should be spelled without the diaeresis (which looks like this: ï ). The phrase "super effective" is neither hyphenated nor capitalized. Never use an ampersand (&) as a replacement for "and". The phrases "revenge KO" and "revenge kill" are never hyphenated. When a type name is directly followed by the word "type", a hyphen is used (Normal-type). When saying that a Pokemon has "some typing", it is never hyphenated (Gengar's Ghost typing helps it be viable in OU.). Dealing with dual typings is a bit trickier. When a dual type name is directly followed by the word "type," a hyphen should not be used (Rock / Ground type). When saying that a Pokemon has "some dual typing," it is never hyphenated as well (Golem's Rock / Ground typing was a godsend in RBY OU.). When talking about a Pokemon's typing, always follow with a "-type" (Ghost-types, not Ghosts). The only exceptions are for "Dragons" and "Fairies". Always spell out the full name of an item, never use abbreviations (Life Orb is a powerful item on Gengar). Always spell out the full name of a stat (Salamence should always run 252 Speed EVs). The only exception is when used in a full EV spread or in damage calculations (An alternative spread of 4 HP / 252 Def / 252 SpD is viable with a Bold nature). Always use spaces in between the slash and numerical investment for EV spreads (Physical attackers should run a 4 HP / 252 Atk / 252 Spe EV spread). Rotom and Deoxys formes, not forms. "[TYPE] Arceus" is infinitely more preferable than "Arceus-[TYPE]". The standards for forme names are as follows: Deoxys-A, Deoxys-D, Deoxys-S, Giratina-O, Gourgeist-A (where A is S for small, L for large, and XL for super; Gourgeist's Average forme is simply "Gourgeist"), Hoopa-U, Kyurem-B, Kyurem-W, Landorus-T, Meloetta-P, Meowstic-M, Meowstic-F, Rotom-A (where A is C for the lawn mower, H for the toaster, W for the washer, F for the refrigerator, S for the fan, and A for the five formes in general), Shaymin-S, Thundurus-T, Tornadus-T, Wormadam-G, and Wormadam-S,. The base forme of a Pokemon should not have a hyphenated name. For examples: Landorus and Landorus-T, not Landorus-I and Landorus-T; Giratina and Giratina-O, not Giratina-A; Rotom and Rotom-C, not Rotom-N. Always refer to the Mega Evolution of a Pokemon as "Mega [Pokemon]". It is Mega Charizard X/Y and Mega Mewtwo X/Y, without a hyphen, not Mega Charizard-X. In any section where both the Mega Evolution and normal state are talked about, use the name of the Pokemon with no prefix (Tyranitar has exceptional Attack). If only the Mega Evolution or normal state is being discussed, ensure that this is clarified (Mega Tyranitar has good Speed, while non-Mega Tyranitar's Speed is a bit lacking). Avoid using either "form" or "forme" when talking about Mega Evolutions, though if one is absolutely necessary "forme" should be used. The term is Speed tie, not Speed-tie or Speed Tie. Use "switch-in", plural "switch-ins" when referring to a Pokemon that often switches in on another (Scizor is a common switch-in to Latias). Do not use a hyphen when using "switch in" as a verb (Gyarados can switch in on Mamoswine) or as a noun, plural "switches in", referring to the act of switching in (Tornadus-T loses to Keldeo if it takes an Icy Wind on the switch in). Use "free switch" to refer to the act of a Pokemon coming into battle with no downsides (A U-turn user can provide free switches for your team). Always use a hyphen when using "early-game, mid-game, and late-game" to refer to the point in a battle when a Pokemon typically fights in a battle. However, avoid saying "early-to-mid-game", say "early- or mid-game" instead. Use "Uber" when referring to the Uber tier, but "Ubers" is acceptable when referring to the Ubers metagame. Use the ASCII ( ' ) apostrophe in writing, not the curly ( ’ ) apostrophe. Use the ASCII ( " ) quotation marks in writing, not the curly ( “ ” ) quotation marks. When referring to the combination of Rest and Sleep Talk, use RestTalk. This also goes for other accepted move combinations, including BoltBeam, VoltTurn, SubSeed, and EdgeQuake. These combinations should not be reversed; QuakeEdge is not OK. When using one of the below-endorsed abbreviations, never use the non-abbreviated phrase. Do not refer to Latias and Latios together as Lati@s.
When setup is being used as an adjective, spell it as setup and not set-up (Pichu is setup bait for Mewtwo). The verb form, to set up, is spelled as such (Mewtwo can set up on Pichu). The company is called Game Freak, not Gamefreak or GameFreak. With the length of allowable names increased, the spelling of several names have been changed. These include Never-Melt Ice, Soft-Boiled, High Jump Kick, Thunder Punch, Feint Attack, Bubble Beam, Sand Attack (but NOT Double-Edge and Mud-Slap), Compound Eyes, Bright Powder, Extreme Speed, Poison Powder, Smokescreen, Double Slap, Twisted Spoon, Black Glasses, Solar Beam, Thunder Shock, Paralyze Heal, Thunder Stone, and Dragon Breath. As a general rule, anything that was capitalized mid-word in previous generations is now two separate words. Playstyles (e.g., offense, stall, balance, hyper offense) and their corresponding adjectives are not capitalized and, with the exception of "semi-stall" and others with the prefix "semi-", never hyphenated. Use 3v3 as an abbreviation for the triple battle metagame. Use VGC as an abbreviation for the Video Game Championships. Use RBY as an abbreviation for the Red / Blue / Yellow generation. Use GSC as an abbreviation for the Gold / Silver / Crystal generation. Use ADV as an abbreviation for the Advance Ruby / Sapphire / Emerald generation. Use DPP as an abbreviation for the Diamond / Pearl / Platinum generation. Use BW as an abbreviation for the Black / White / Black 2 / White 2 generation. Use OHKO as an abbreviation for one-hit knock-out. Use NHKO as an abbreviation for an N-hit knock-out, where N is any number greater than 1 (Choice Band Gyarados can cleanly 2HKO even bulky Rotom-W). The term outspeed (outspeeding, outsped, also outpace) is accepted as meaning "to move first in battle." The term outdamage (outdamaged, outdamaging) is accepted as meaning "to deal more damage than another attack or Pokemon." The term outprioritize is accepted as meaning "to use a priority move before the foe can use their priority move." The term spinblock (spinblocker, spinblocking) is accepted as meaning "to block Rapid Spin." The term phaze (phazer, phazing, phazed) is accepted as meaning "to pseudo-haze," which in turn describes forcing a switch with a move such as Whirlwind. The term wallbreaker (wallbreaking) is accepted as meaning "Pokemon that breaks down walls." The term stallbreaker (stallbreaking) is accepted as meaning "Pokemon that breaks down stall." The term spinner (spinning) is accepted as meaning "Pokemon that can use Rapid Spin." The term Spiker is accepted as meaning "Pokemon that can use Spikes / Toxic Spikes." The term Defogger is accepted as meaning "Pokemon that can use Defog." The term parashuffler (parashuffling) is accepted as meaning "Pokemon that paralyzes and phazes." The term paraflinch is accepted as meaning "to attempt to paralyze and flinch an opposing Pokemon," usually until they are KOed. The term parafusion is accepted as meaning "to prevent a foe from moving via a combination of paralysis and confusion." The term moveslot is accepted as meaning "slot in a Pokemon's set." The term movepool is accepted as meaning "pool of all of a Pokemon's moves." The term teamslot is accepted as meaning "slot in a Trainer's team." The term playstyle is accepted as meaning "a style of play in the metagame," e.g. stall, offensive, balanced, etc. The term matchup is accepted as meaning "the current situation of the field concerning the capabilities of the active Pokemon of both players." The term Spikes-stacking is accepted as an adjective meaning "a team that attempts to stack multiple layers of Spikes." The term four-moveslot syndrome is accepted as meaning "a problem arising due to the Pokemon only being allowed to have four moves at one time." The term Pursuit trap is accepted as meaning "KOing or threatening to KO a Pokemon that is likely to switch with Pursuit." The term Fire / Water / Grass core is accepted as meaning "a core used containing a Fire-type, Water-type, and Grass-type, which is notable for its synergy." In doubles metagames, the term double target is used to mean "to attack an opposing Pokemon with both Pokemon you control." It has no hyphen. The term ChestoRest is accepted as meaning "a strategy using Rest and a Chesto Berry to instantly heal a Pokemon." In RBY analyses, it is permissible to use the term sleeper, which is accepted as meaning "a Pokemon that induces sleep onto the foe." In Doubles analyses, the term speed control is used to refer to "control of how quickly Pokemon will act." It is not capitalized. In Doubles analyses, the terms redirection and disruption are used to refer to "control of where attacks will land," such as by use of Rage Powder or Follow Me. When referring to a set that uses two specific moves, ensure the "+" sign is used, not "and" (Substitute + Bulk Up Braviary). The moves should also not be abbreviated. "PokeBank" is an acceptable substitution for "Pokemon Bank". The term "wincon" is accepted as meaning "a Pokemon whose objective is to win the match." A wincon is the starting point of a team, has favorable matchups against most Pokemon in a tier / on the opponent's team, and / or is backed up by heavy team support. A "win condition" which is a circumstance in which a game can be won, and is not interchangeable with "wincon". "Foe" refers to the opposing Pokemon, not the opposing battler. Similarly, "opponent" refers to the opposing battler, not the opposing Pokemon. For example, "paralyze the foe" and "revenge kill the foe" are correct uses of foe, as it is the Pokemon that is paralyzed or revenge killed, not the battler. Correct uses of opponent include "if the opponent has a Ghost-type" and "the opponent might switch in a counter". There are cases where both can be appropriate, such as "The opponent/foe can set up Trick Room" (the opponent sets it up in the sense that they are clicking the button). Use active voice (Gliscor can OHKO Magnezone) whenever possible rather than passive voice (Magnezone can be OHKOed by Gliscor). Commas should not be used to separate a compound verb unless the conjunction is combining two independent clauses or the comma is necessary for clarity (Pichu walked into the store and bought a pie). Do not put a hyphen between an adverb and an adjective (Pichu can use a defensively oriented set or a specially based set). When written as a single object, even naturally plural items are treated as singular (Leftovers is a good item choice on bulky Pokemon. Choice Specs is put to excellent use on Jolteon). For unbracketed asides, use the em dash (—) and no spaces (Mareep—that is to say, the entire evolution family—is extremely cute). Hidden Power Type, not Hidden Power [Type]. The plural of a Pokemon is identical to the singular of that Pokemon. One Blissey, two Blissey. Never two Blisseys. OHKOes as the verb form (Salamence OHKOes Alakazam) and OHKOs as a plural noun (Salamence scores many OHKOs). OHKOed is the past tense (Salamence OHKOed Alakazam). Pokemon are not "killed" in battle, they are KOed or faint. Do not say "STABs" to refer to moves that receive a same-type attack bonus. Use "STAB moves" instead. Always append 's to a noun when signifying a singular possessive (Latias's Soul Dew) or plural possessive that doesn't end in s (Lucario's Swords Dance), and simply a ' when signifying a plural possessive for a word that ends in s (All Latios' Draco Meteor). When listing multiple types, use a hyphen after each type (Water-, Flying-, and Normal-types). When listing effectiveness of attacks, the number goes before the x (Earthquake is 2x super effective on Lucario. Ice Beam is 4x super effective on Salamence). The word "resists" is only to be used as a form of the infinitive "to resist" and never as a noun ("Flying-type resists such as Pichu are good Pokemon" is incorrect). Swift Swim sweeper, not Swift Swimmer. You may use the pronoun "who" instead of "which" or "that" and use "he" or "she" to refer to Pokemon as people if you so desire. It must be consistent for the entire article or analysis if this is done, however. Do not write an analysis in a form that puts emphasis on changes by generation. This includes avoiding phrases such as "With the advent of BW," "With the newly introduced Fairy-types," and "With the new ability to Mega Evolve." When referring to the battler, use the pronoun "you." Do not use "you" to refer to a Pokemon. Smogon uses the American English spelling of words (favor, minimized, maximized, etc.). It is "an OHKO," not "a OHKO" (pronounce it 'oh-aitch-kay-oh' and it will make sense). The past tense of "to EV" is "EVed" and the plural of EV is EVs. EVs should always be capitalized. EVs should always be referred to in the plural case (158 Special Attack EVs are enough to OHKO). The word "spectrum" should never be used to describe the difference between physical and special offensive and defensive stats; "Infernape hits hard from both sides of the spectrum" should be rephrased to say "Infernape hits hard both physically and specially," or something similar. Refer to the "Wi-Fi Clause" as "Team Preview." Avoid using "crux" in your analysis unless you know what you are doing. 95% of the time, you will simply be adding useless filler like "X is the crux of this set," which does not provide the reader with any information of value. Avoid using pointless filler phrases such as "However, Weedle is not without its flaws. / Not all is well for Weedle. <insert issues with said Pokemon>." These artificially lengthen analyses without providing any actual information. Instead, say something like "Weedle is held back by its paltry stats, movepool, and mediocre typing, all of which keep it from accomplishing much of anything." Don't end paragraphs, especially overviews, with pointless filler sentences like "However, with its counters removed, Zygarde can easily sweep through teams" or "Play to its strengths and Infernape can be a great choice for your team." Any Pokemon that is played well or with its counters removed will be a great asset for your team. If you have nothing else to say in an overview, it's ok to just stop writing! Overviews aren't an essay to write about Pokemon; they're just a way to give a quick rundown of what a Pokemon does. The word "base" should come before the numbers of a stat. For example, Mew has a base 100 Special Attack rather than Mew has a 100 base Special Attack. Stats (Attack, Special Defense, etc.) are capitalized. Pseudo-stats (accuracy, evasion) are not capitalized. Types (Fire-type, Water-type, etc.) are capitalized. Status effects (paralysis, sleep, etc.) are not capitalized. Pseudo-status effects (confusion, etc.) are not capitalized. "Berry" is always capitalized when talking about a pinch Berry, even when used without a specific name (The suggested item is a Berry). If not talking about some kind of pinch Berry, then it should not be capitalized (Pichu enjoys berries in its salad). "Ball" is always capitalized when talking about a Poké Ball of some sort, even when used without a specific name (The Ball used for capture doesn't matter). If not talking about some kind of Poke Ball, then it should not be capitalized (Pichu likes playing with a beach ball). "Egg" is always capitalized when talking about a Pokemon Egg of some sort (The Pokemon's Egg hatched!). This also applies to Egg Groups. If not talking about a Pokemon's Egg, then it should not be capitalized (Delibird is actually quite a fan of scrambled eggs). "Choice" in "Choice item" is always capitalized when talking about any non-specific Choice item, such as Choice Specs, Choice Scarf, and Choice Band (Tyranitar is an excellent user of Choice items). When not used in context of the generalized items, then choice is not capitalized (The choice of which to do is up to you). "Orb" in "status Orb" is always capitalized when talking about any non-specific status Orb, such as Flame Orb and Toxic Orb (Swellow can activate its ability Guts through the use of a status Orb), but "status" is not capitalized. When not used in the context of the generalized items, then orb is not capitalized (Spoink has a beautiful orb on its head). Weather (sun, rain, etc.) is not capitalized. Conditions (Skarmory was Taunted) are capitalized only when the entire move name is used (Scizor passed Iron Defense to Skarmory. Scizor Baton Passed Iron Defense to Skarmory). Clauses (Sleep Clause, OHKO Clause, Item Clause, etc.) are capitalized in full, even when part of the word is normally not capitalized (ie. sleep, item, etc.). Tiers (Uber, OverUsed, UnderUsed, etc.) are capitalized. Doubles is capitalized when talking about the Smogon Doubles metagame; however, if talking about the doubles battle format only then it is not capitalized. Community-created terms such as "Speed tier" are not capitalized beyond the normal conventions, but Nintendo-created terms such as "Base Power" are capitalized as they would be in-game. Set names are only capitalized in set titles, never in set comments (If Arcanine is a specially defensive variant, it isn't OHKOed by Milotic's Surf). Very well-used set names such as "Extreme Killer" and "Extreme Killer Arceus", "Wallceus", or "Stalltwo" are the only exceptions. Checks & Counters headers (Special Walls, Super Effective Moves, Fire-types) should be capitalized similarly to set names. Pokemon roles (sweeper, tank, special wall, etc.) are not capitalized. Wi-Fi, not Wifi or Wi-fi. Abilities or attacks that consist of two words but that fit the 12-letter restriction (Sunny Day, Zen Headbutt, Mold Breaker, etc.) are written with a space in between and with both words having an initial capital letter. All attacks having a dash (Wake-Up Slap, X-Scissor, etc.) are written with the word after the dash also capitalized. U-turn and V-create are the only exceptions to this rule. The word "physical" is not capitalized. The word "special" is not capitalized when not referring to a stat (Azelf has base 125 Special Attack, but Flamethrower is a special attack). When saying something is "physically defensive" or "specially defensive," physical and special are not capitalized. The word "defenses" is not capitalized when referring to a Pokemon's overall defensive ability rather than to a stat (Cresselia has exceptional balanced defenses). The word "Pokemon" is always capitalized. The word "nature" is not capitalized (Adamant nature, not Adamant Nature). The word "suspect" is not capitalized when referring to a Pokemon (Garchomp is a suspect), but it is capitalized when referring to the Suspect metagame or tier. The word "bulky" is not capitalized when it prefixes a type (bulky Water-type, not Bulky Water-type). The phrase "critical hit" is not capitalized. The phrase "dual screens" is not capitalized. The word "item" is never capitalized. Mega Evolutions are always capitalized (Mega Lucario). The term "Mega Evolution" refers to the extra evolution some Pokemon possess (Lucario's Mega Evolution grants it additional power compared to its normal state). The term "Mega-Evolved" refers to a Pokemon that has undergone Mega Evolution (Mega Lucario, when Mega-Evolved, gains additional power). The term "Mega Evolve" refers to the act of a Pokemon undergoing Mega Evolution (Lucario can Mega Evolve into Mega Lucario). It is indeed in-game with the hyphen, not ingame or in game. You should write Pokémon Center with the accent. Other Poké words: Poké Ball, Poké Flute, Poké Mart, etc. The standard we go by is Poké Dollars to describe the currency of the Pokemon games. In GSC, it is called the Pokégear. "Ball" is always capitalized when talking about a Poké Ball of some sort, even when used without a specific name (The Ball used for capture doesn't matter). If not talking about some kind of Poké Ball, then it should not be capitalized (Pichu likes playing with a beach ball). The item "Mega Stone" is always capitalized. Trainer is always capitalized when used in the context of a Pokemon Trainer. The correct capitalization and spelling is Exp. Points. The "w" in wild Pokemon is never capitalized. Gym Leader is always capitalized. Gym is also always capitalized when talking about the Gym of the town where the Gym Leader resides that holds the Badge. Badge is always capitalized as well. The title of a Trainer is always capitalized; ie. Fisherman, Lass, Rocket Grunt, etc. However, when a Trainer class and a normal citizen have the same name, such as scientist, only capitalize those who are actually Trainers (I got the item from the Scientist that I battled), (I talked to one of the scientists in Cinnabar Lab). When doing an action of some kind using the HM moves, it should be capitalized. (When you reach the water, Surf across to the other side. When you reach the small tree, Cut it and continue on your way, etc.). The "r" in route is only capitalized when used as a proper noun in conjunction with the route number, such as Route 1. There is no space between the "TM" and the number of the TM, such as TM01. This is the same for HMs. Don't know if the url is going to change soon, but the link to the grammar standards article is currently broken. Edit: just saw it's the same for the 5th gen thread, probably an old url that got changed. Edit: just saw it's the same for the 5th gen thread, probably should be fixed then. Seeing as that's in the BW subsection, the link would change. Somebody should update the link for the old thread, though. The standards for forme names are as follows: Wormadam-G, Wormadam-S, Shaymin-S, Deoxys-S, Deoxys-A, Deoxys-D, Giratina-O, and Rotom-A (where A is C for the lawn mower, H for the toaster, W for the washer, F for the refrigerator, S for the fan, and A for the five formes at large). "At large" threw me the first time given that its alternative meaning is more common. Would suggest changing to "in general" as that's less ambiguous. You've begun a sentence with a bracketed clause, which shouldn't really be done so "abbreviations (Life Orb is..."
Again, you've begun a sentence with a bracketed clause, and also the examples should be italicised for consistency, so "...not set-up (Pichu is setup bait for..."
With the length of allowable names increased, the spelling of several names have been changed. These include High Jump Kick, Thunder Punch, Feint Attack, Bubble Beam, Sand Attack (but NOT Double-Edge and Mud-Slap), Compound Eyes, Bright Power, Extreme Speed, Poison Powder, Smokescreen, Double Slap, Twisted Spoon, Black Glasses, Solar Beam, Thunder Shock, Paralyze Heal, Thunder Stone, and Dragon Breath. As a general rule, anything that was capitalized mid-word in previous generations is now two separate words. In Doubles analyses, the term speed control is used to refer to "control of how fast Pokemon will act. It is not capitalized. 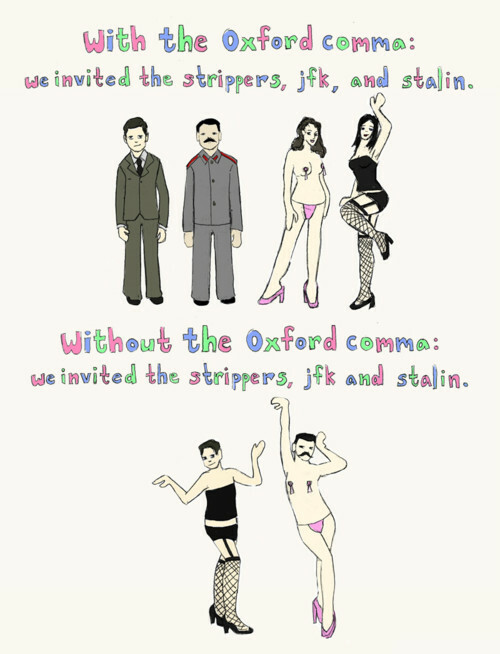 Commas should not be used to separate a compound verb unless the conjunction is combining two independent clauses or the comma is necessary for clarity. (Pichu walked into the store and bought a pie). Avoid using pointless filler phrases such as "However, Weedle is not with its flaws. / Not all is well for Weedle.<insert issues with said Pokemon>." These artificially lengthen analyses without providing any actual information. Instead, say something like "Weedle is held back by its paltry stats, movepool, and mediocre typing, all of which keep it from accomplishing much of anything." Even more brackets. Just Ctrl+F ". ("
The term "Mega Evolution" refers to the extra evolution some Pokemon possess (Lucario's Mega Evolution gains additional power over its normal state). In any section where both the Mega and non-Mega evolution are talked about, use the name of the Pokemon with no prefix. If only the Mega or non-Mega evolution is being discussed, ensure that this is clarified. More brackets. Also the example in the second should be italicised. Also the two examples in the former could be merged into one bracket to make it look cleaner. Sorry for being pretty pedantic over some of these, but ideally I think the Grammar Standards page should be above criticism in that regard. Also, sorry for repeatedly referring to "you" in the comments - I realise you didn't actually write most of this, and this is just force of habit, sorry. These have all been implemented. I made some clarification on how I wanted the Mega vs non-Mega evolution thing to work out. Most of the time things will be referred to as just "Lucario" or "Mega Blaziken." However, when in the checks and counters section, where both could be talked about, I wanted it specified as counters could change depending on if something is Mega or not. On Mega Evolution capitalization: this gets tricky. I aimed to refer to "Mega Evolution" as just that. However, when talking about an evolutionary state (keeping in mind evolution is not capitalized in-game), I tried to make it be "Mega (space) evolution," with "Mega" meaning "Mega Evolution" (capital E) and "evolution" just meaning an evolution in general. I changed this around a bit to make it clearer, hopefully. What I'm trying to get at is that "a Mega evolution" (an evolution that is Mega) is different to a Pokemon's "Mega Evolution" ("Mega Evolution" being the powered-up evolution). The form for writing sentences in these standards is as follows: never start a sentence with an example bracket; always include these brackets as part of the previous sentence and do not put a period right before the end of the bracket, only put periods after a bracket if that is the end of the sentence. Conditions (Gyarados was Thunderbolted) are capitalized only when the entire move name is used (Scizor passed Iron Defense to Skarmory. Scizor Baton Passed Iron Defense to Skarmory). Anyway, whatever it is should be clarified - as in, state explicitly how "Mega Evolution" differs from "Mega evolution". bugmaniacbob After thinking about this some more...both Mega Evolution and Mega evolution should be correct--but not because they are different forms of the same phrase, but because they both mean different things. "Mega Evolution" can refer to both the act of Mega Evolving and a particular pokemon's extra evolutionary state (Lucario's Mega Evolution). Mega evolution is basically saying "a new evolution called a Mega Evolution," where "Mega" refers to "Mega Evolution." When saying "Mega Evolution," it's a two-word noun, but saying "Mega evolution" means you are using Mega as an adjective to describe evolution, an uncapitalized Pokemon phrase for 5 generations. However, in any case that one of these can be used, the other can be as well. Even though "Mega Evolution" and "Mega evolution" mean slightly different things, there won't ever be a situation where only one of these terms can be used. Therefore, we should focus on only using the term "Mega Evolution" with a capital M and E, as a verb meaning "to Mega Evolve" and as a noun meaning something's extra evolutionary state. I've changed all examples to say "Mega Evolution" with capitals now, and that's how it should always be then. The one exception to this in the standards be in this line: "In any section where both the Mega and non-Mega evolution are talked about, use the name of the Pokemon with no prefix (Tyranitar has exceptional Attack). If only the Mega or non-Mega evolution is being discussed, ensure that this is clarified (Mega Tyranitar has good Speed, while non-Mega Tyranitar's Speed is a bit lacking)." As Mega is being used as an adjective, "evolution" shouldn't be capitalized. If this conflicts with the standards, I'll try to rephrase it so "evolution" will be capitalized. The unordered lists in the Pokemon Previews need to be complete sentences with a period. I'm cross-posting this into the queue as well. I've seen this a couple times and I feel it needs to be addressed. Are Mega Evolutions "forms" or "formes" or neither? Are they traditional Pokemon formes like Giritina-O and be named by "forme" or are they a different "form" of a Pokemon, not bringing in Pokegrammar at all? Or should we just avoid the use of "forme" and "form" altogether when talking about Mega Pokemon? I would say use "form" since it's not a formal term. I'd prefer to call it "form" over "forme" but forme does seem to be more correct. However that doesn't matter because I GREATLY advocate not using either one. Implemented. Is it generation 6 or generation six? I prefer the former, but shouldn't <10 numbers be written in letters? This is somethingWhen we use something like sweeping sets, for example, Substitute + Bulk Up Braviary or Substitute + Calm Mind<insert poke here>, are we using the + sign? I was always happy with using the + symbol, it isn't like it's unprofessional, and as said, makes sense from a context viewpoint. We use slashes for EV spreads and % for damage calculations, it isn't a huge leap to abbreviate set combinations. If the + is used in set names, that's even more reason to keep it. with this http://www.smogon.com/forums/threads/attention-analysis-format-changes-name-your-sets-dont-separate-mega-evos-use-the-old-set-style.3491996/ should sets still be with html? move 2: move<br /> etc? I know in tons of things I've seen it's been somewhat acceptable to say "Dragons" instead of "Dragon-types". I'm starting to see a lot of use of the term "Faries". While this seems alright, we don't say "Fires" or "Waters" for a reason. Is this another case like "Dragons" where the type of the Pokemon is also a noun and therefore ok, or should we just stop this as soon as we can? I'd only use the types as a capitalized noun when the type itself is a direct object that can be described this way. Currently, Dragons, Fairies, Ghosts, and Bugs are the only types that fit this. I would suggest that using the type as a noun is avoided wherever possible (after all, we correct "bulky Waters" to "bulky Water-types"), so we should adhere to that. This is primarily in the interests of consistency more than anything else, as I'm sure you'll agree, "Dragons" rolls around slightly better than "Dragon-types". That said, in some specific cases, I'd be happy to let it slide, depending on context. "Dragon-types" and "Fairy-types" should always be allowed. "Waters" and "Fires" should never be allowed. "Dragons" and "Fairies" can be okay if the analysis is particular carefree or casual, but "-types" is preferred. I would prefer just a consistent baseline of "Always append "-type", allow exceptions for Dragons and Fairies."